No deal is not only bad for the United Kingdom but also for the European Union as well. No deal will make them both suffer economically. Populist-Italy is already into a recession and a no deal will not make it any better. A no deal means less Italian Prosecco for the U.K. Britons bought a record 164 million bottles of champagne and sparkling wine last year, but the effects of Brexit has hit Prosecco long time ago. For the first time in over a decade, exports of Prosecco to the U.K are slowing. Prosecco is made from Glera grapes grown in the area surrounding the village of Prosecco near Trieste in north-east Italy. In 2015, Prosecco overtook champagne as Britain`s favorite sparkling wine, but it seems like the popularity has peaked for a while. According to UHY Hacker Young, the Prosecco sales increased by only 5% compared with the previous year which is the smallest annual sales growth since 2011. A 5% decrease in sales isn`t bad, but it is bad compared to several yars of double-digit growth, and this can only be the beginning if we se a no deal between the U.K and the E.U. Britons consumed 112,7 million bottles of DOC Prosecco in 2016 and exports to the U.K, U.S and Germany accounted for 75% of the sales. If Boris Johnson want a bottle of Prosecco on Valentines day, he have a great chance to buy it at a normal price, but it can be one of the last chances because a no-deal Brexit will stifle trade and limit choice. A deal win-win deal will help them both. Italy will sell more bottles of Prosecco and Britons will continue to enjoy a wide range of quality sparkling wines on Christmas eve later on this year. A deal without tariffs. Take a look at the history and you can clearly see that all the roads leads us back to Rome and Italy. A country that gave the world pizza. The founder of that dish is a genius. The term pizza was first recorded in the 10th century, in a Latin manuscript from the Southern Italian town of Gaeta in Lazio. Not only that. Rome is also the capital of Italy, and serves as the capital of the Lazio region. The Vatican City is an independent country inside the city boundaries of Rome, which means Rome has been often defined as capital of two states. 4,3 million residents live in the metropolitan City of Rome, and most of them head to the polls on Sunday in a vote that will be closely watched by European leaders. Italys election on Sunday will test Europes nerves, because it can make instability in the eurozones thrid-largest economy. It should be a great place on earth, but it isnt. Italy`s unemployment rate rose to 11,1 percent in January 2018, and the youth unemployment rate fell to 31,5 percent, which is the lowest since December 2011. The Italian economy advanced by 0,3 percent on quarter in the three months to December of 2017, so the growth is very slow. The Italian stock marked plummeted during the financial crisis ten years ago. The unemployment rate was at its lowest in 2007, but skyrocketed after the crisis. Italy`s Government debt reached an all time high of 132 percent in 2016 which is more than the U.S but it dropped to 131,5 percent last year. Italy need a change, but that change can be painful and Italy can be drown into months of further political deadlock. Around 40% of voters remain undecided and no party or alliance is expected to earn an outright majority, according to analysts. European leaders are watching this election closely because so far, polls are telling us that the populist, anti-European Union Five Star Movement (M5S) is the biggest party. Twice as big as Forza Italia and the Democratic party at the second place. The M5S is founded by Beppe Grillo who is a popular comedian and blogger. The party is considered populist, anti-establishment, environmentalist, anti-globalist, and Eurosceptic. At the 2013 general election the M5S was the most voted party. People in Italy and many of their parties are euroskeptic, and one issue has dominated the pre-election debate, and that is immigration. Hundreds of thousands have arrived from Africa to Italy recently, and the debate over immigration has highlighted racial tensions ahead of Sunday`s vote. Right-wing parties have pushed an anti-immigration agenda, and former Italian Prime Minister Silvio Berlusconi has warned that all the migrants in Italy has caused «serious social alarm,» and said that more than 600 000 undocumented migrants must be deported. Migration has been a serious issue in Italy in many decades. When the Pope look outside the window in the Vatican, he can see some right-wing parties, but also some neo-fascist political parties. Fascism is also coming from Italy. The founder of fascism is Benito Mussolini and he outlined three principles of a fascist philosophy. Everything in the state. The Government is supreme and the country is all-encompassing, and all within it must confront the ruling body, often a dictator. Nothing outside the state. The country must grow and the implied goal of any fascist nation is to rule the country, and have every human submit to the government. Nothing against the state. Any type of questioning the government is not to be tolerated. If you do not see things our way, you are wrong. If you do not agree with the government, you cannot be allowed to live and taint the minds of the rest of the good citizens. The use of militarism was implied only as a means to accomplish one of the three above principles, mainly to keep people and rest of the world in line. Fascist countries are known for their harmony and lack of internal strife. There are no conflicting parties or elections in fascist countries. There were a demonstration in Maceratata on February 10, and Italian protesters hold a banner reading «Against fascism, racism and sexism, everyday, in all cities.» Similar to how it was in Italy about 100 years ago, but it was a different march. The opposite. The March on Rome was an organized mass demonstration in October 1922, which resulted in Benito Mussolini`s National Fascist Party. Fascists saw WWI as a revolution that brought massive changes to the nature of war, society, the state and technology. Italy has an unproven new system in place for the voters. On top of that there is a bloc of undecided voters, so analysts say that Italy is headed toward a hung parliament. Berlusconi`s right-wing coalition can win. So can the Democratic party, Forza Italia and other centrist allies. It can also be a populist government of M5S and Northern League. Another option is that the Gentiloni government will continue like it is today. If so, they will start long discussions on whether to build an all-party technical government. The political situation in Italy right now, with its government instability, economic problems and repeated elections are building up to a perfect storm. It can be harmful for one of the main European democracies, but it can be very harmful for an already weak European Union in an already weak continental alliance too. Especially after Brexit. Rome is called the «Caput Mundi» (Capital of the World). 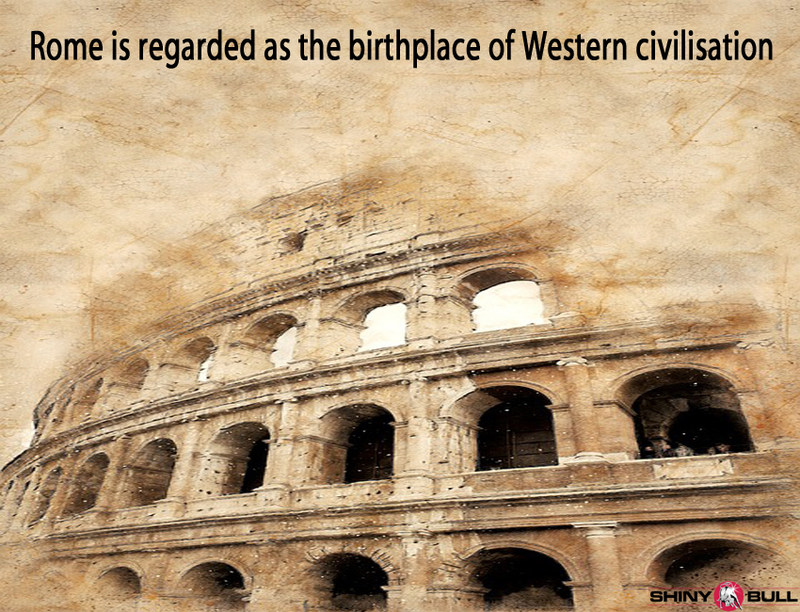 Rome is also regarded as the birthplace of Western civilisation and by some as the first ever metropolis. Rome is the 3rd most visited in the European Union, and Colosseum are among the world`s most visited tourist destinations. After the fall of the Western Empire, which marked the beginning of the Middle Ages, Rome fell under the political control of the Papacy. All of this is a part of an evolution, so the show must go on.